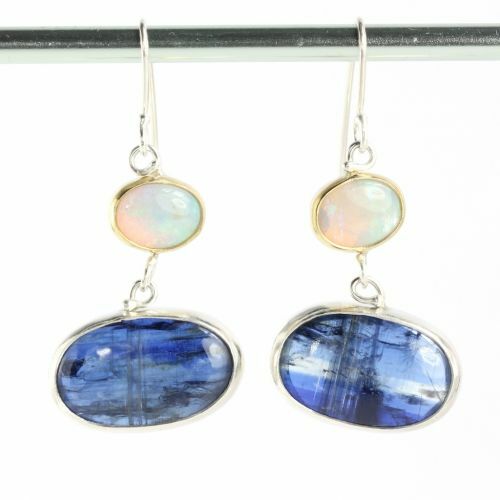 View cart “Miss Matched Turquoise & Australian Boulder Opal Earrings” has been added to your cart. From the “Otherworldly” jewelry collection: Fiery Oregon opal and stalactite necklace with blue sapphire briolette “fringe”. Very boho chic! 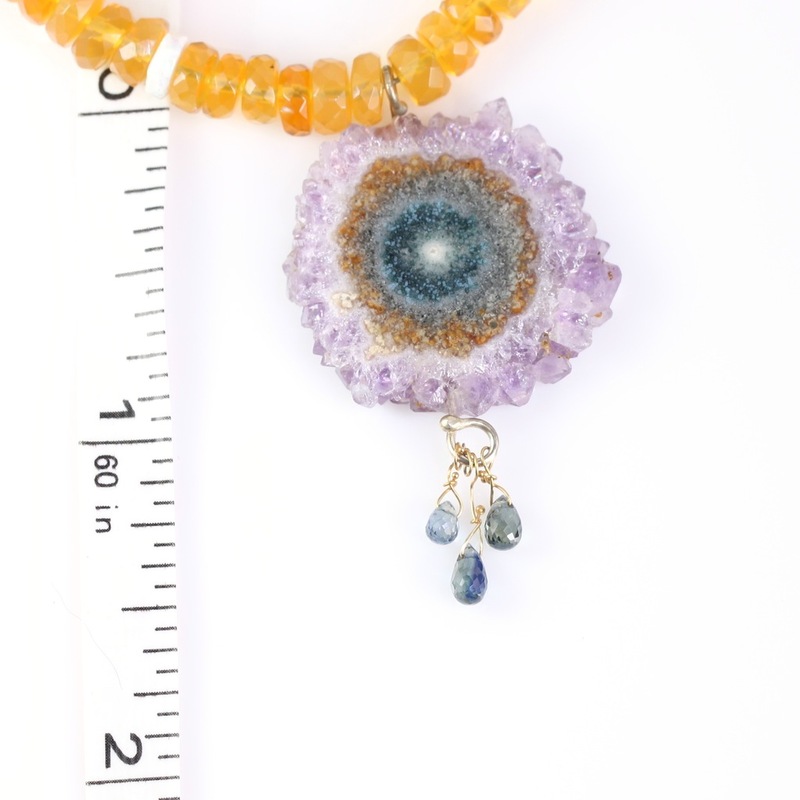 Beautiful stalactite slice necklace in shades of blue and orange, a white core, and an amethyst crystal edge, with blue sapphire briolettes. 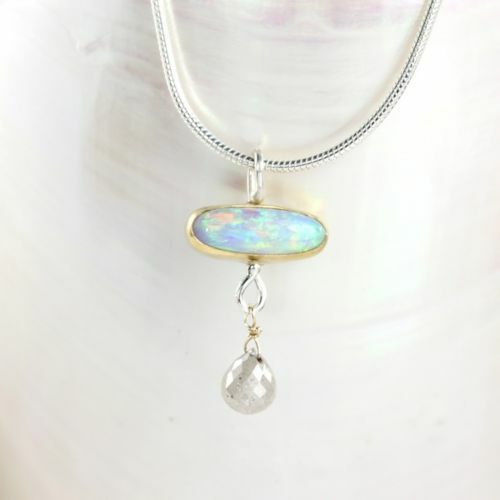 Strung on an Oregon opal strand with an Australian opal thrown into the mix! 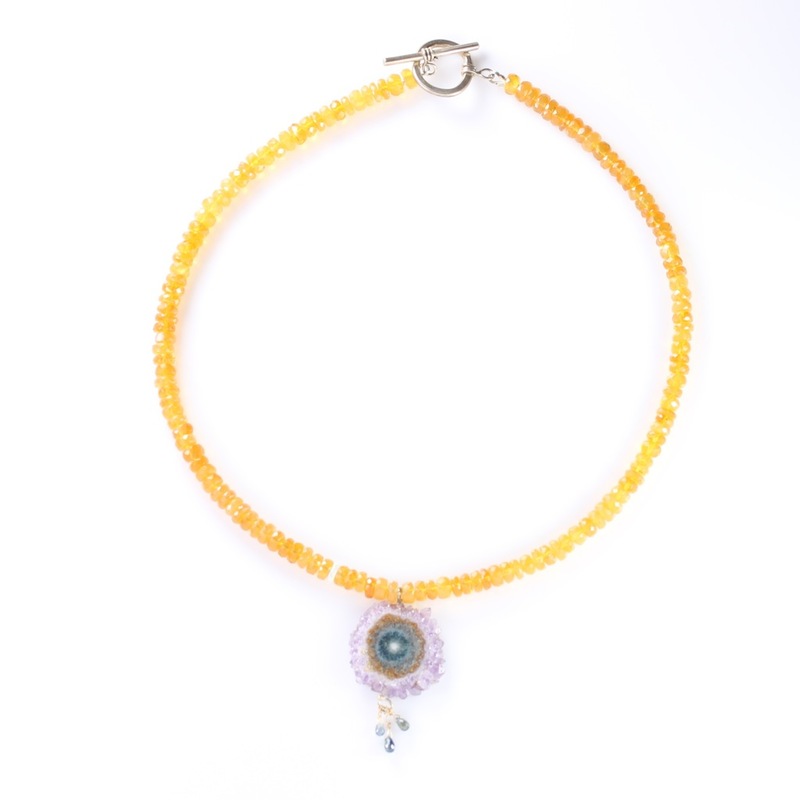 Sterling silver and 18K gold wirework. 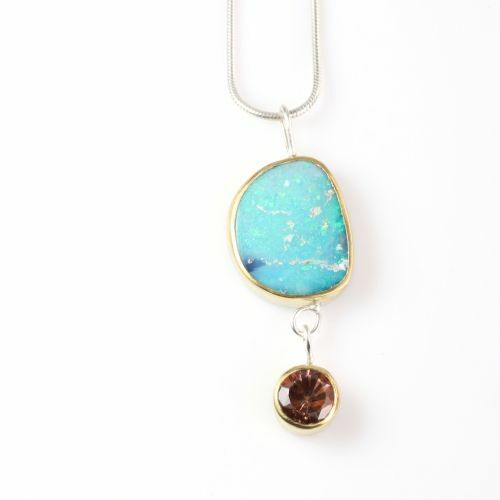 This necklace is 16″ long, with a handmade sterling silver toggle clasp. Very Boho Chic. 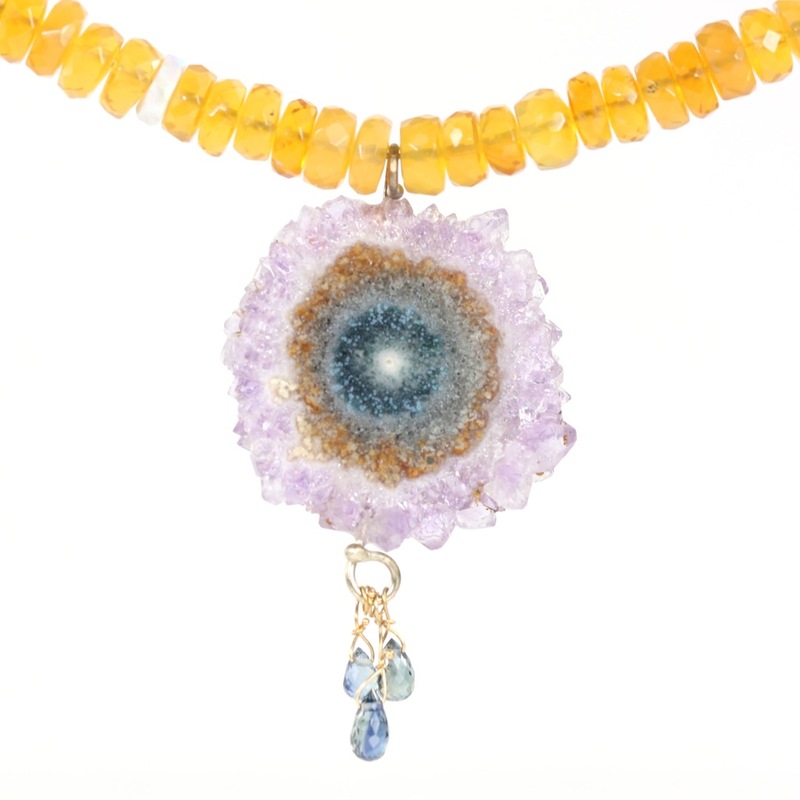 The Metaphysical Particulars: Stalactite jewelry is associated with hidden inner growth and the secret expansion of the higher self, blue sapphires represent truth and faithfulness. 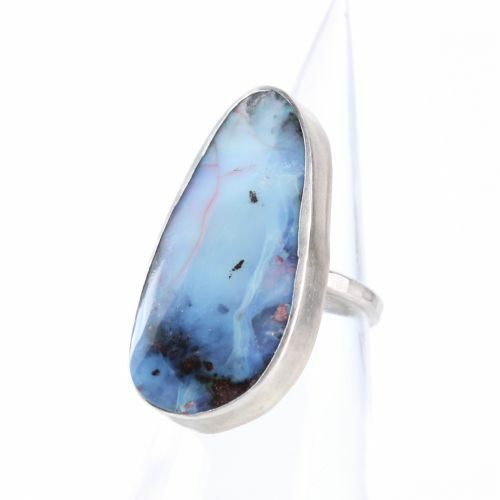 Opals are healing stones, and fire opals in particular bring vitality to the wearer along with creative energy, hope, and faith in oneself. Jewelry to empower your spirit! 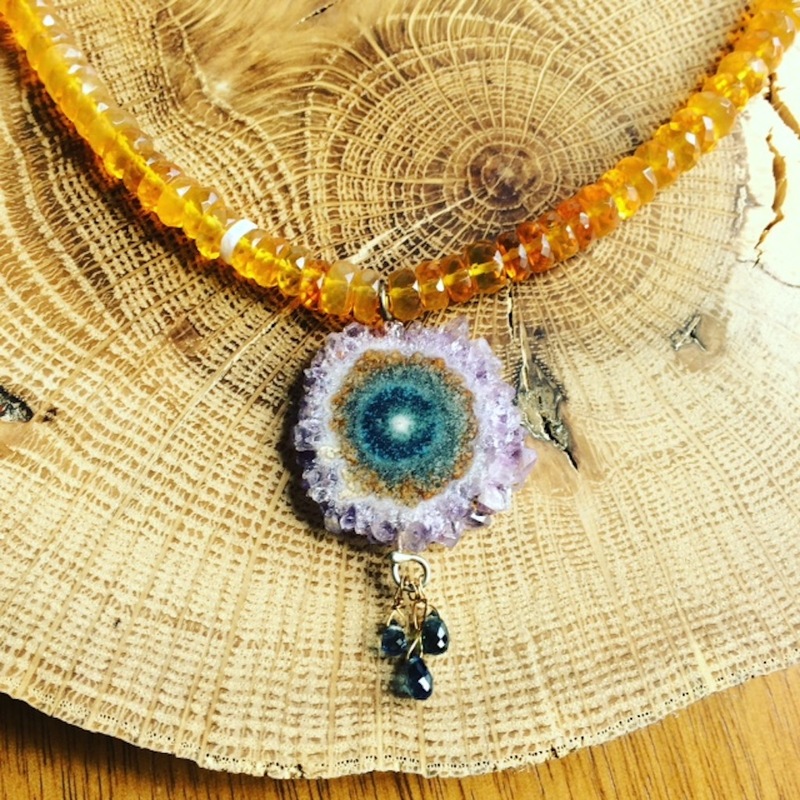 The jewelry in this shop is made with natural rocks and gemstones, recycled gold and silver.